Hi Everyone! As you might know H&M launches a special spring/summer collection called H&M Studio, every year. This year the collection was released on March 12th worldwide. 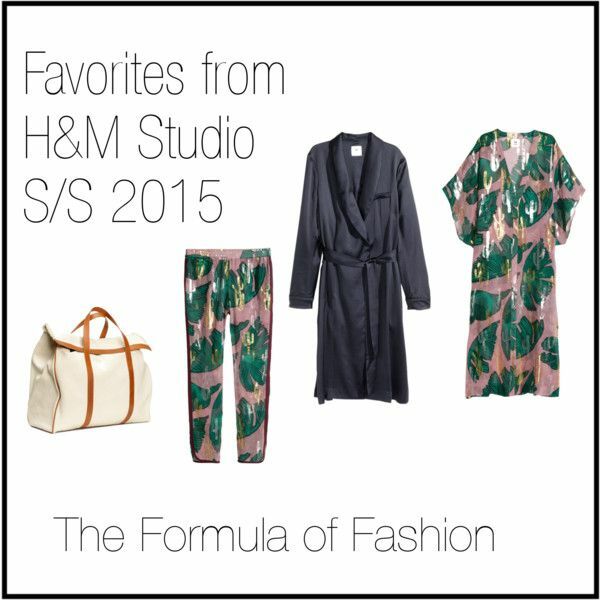 Today I am sharing my favorites from the H&M Studio Spring/Summer 2015. I love the fabric and print of the short-sleeved kaftan in airy patterned silk containing metallic threads and the matching bottoms. Pair it with the navy blue silk robe and you will look exquisite. I also quite like the Canvas weekend bag with leather details. I also absolutely love all the Burgundy Suede accessories from the collection.